Pack 99 will be cabin camping at Ockanickon Scout Reserve where we will be taking part in new adventures, hiking, playing and having a great time! The event will be split by age groups. Tigers, Wolves and Bears will camp Friday, January 8th to Saturday, January 9th. 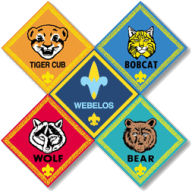 The Webelos will camp Saturday, January 9th to Sunday, January 10th. Overlapping pack meeting will be at 1:00pm on Saturday for all dens.